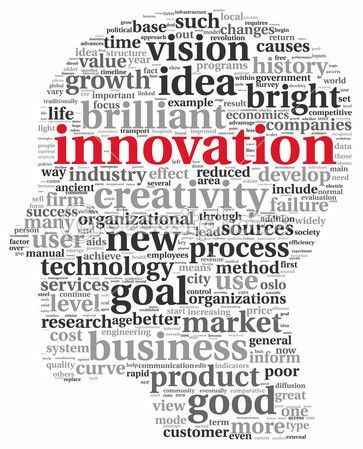 July edition – 3 Innovation Ideas – Any takers? Ideas are just ideas until you start working on them to transform them into real projects. So here are some of the ideas that have been going through my head. Some of them are probably rubbish or already done, but if you think an idea is worthwhile exploring more and you are interested to develop it further then let’s discuss. Eventually, I am looking for like minded people, that could help develop the idea. I hope to write down a few new ideas every month or two. If the idea is good and gets traction, then it would make sense to explore it further in a hackathon or through a kickstarter project. Have your say, comments most welcome! 1 – Multi-media center and home content aggregation – Can’t we do better? Content storage, streaming and the multi-media center market are probably quite cluttered already, but frankly I am surprised nobody has come up with something better than what is available on the market. ITunes, AppleTV are great from a user experience perspective, but are pretty closed eco-systems. It is cumbersome to add content that is not on apple devices and still to get the same user experience. It usually starts with the problem of linking all devices to some kind of hub, being it protocols or authentication issues, I feel we are today constrained by closed eco-systems. Second is the issue of the digital library presentation. I believe it should be possible to do a much better job at automatically sorting and structuring your digital library. Too much manual job involved. Just take the example of adding album and DVD covers to your itunes library, what a nightmare! Is it that difficult to dynamically add a few websites, where you can search for album or DVD covers? As long as your search for US content you are OK, but try to find the cover for a french movie or an italian music album you will not get that far with what’s built-in, and while Amazon is a good source of info, it is not enough. I want to add local sites that have usually much more regional content available. Same applies to content reviews? Where do you get the reviews from? Here also you should be able to select where the reviews are from, probably also taking language into consideration. I think a great improvement would be to use an approach like wordpress does for blogging or paper.li, for content curating, where you basically dynamically structure the way your portal should look like and your content should be filtered and presented. You will say, not everybody is tech savvy, but that is where you can leverage on the “Alpha” users, which could explore various ways of rendering for a local community, then share these settings with rest of community. I believe there is an opportunity for an open-source project to develop something really useful and the base is maybe already available (I am thinking XBMC or similar) . I love the idea of crowd sourcing, since it brings a lot of like mind people together. Betting on innovation idea is great to get community involvement. What I feel is missing, and that makes me sometimes a bit reluctant in participating, is how much do you actually know of the team behind a kickstarter project? Adding some kind of social influence information, like linkedin recommendations or klout score could help get a better idea about the team members. Similarly I think information about the skill sets required and skills available in the team could help in the assessment. Another possible development with crowd-sourcing is to combine the actual financing of the project with the team build-up phase. I see this type of approach already used in hackathons, but I believe it could benefit also to integrate these early stage needs in the crowd sourcing platform. Beside the financing aspects and people’s contribution, I believe a crowd sourcing platform could also include other resource types required for a successful project setup. Here I am thinking about computing resources or office space, but anything valuable for a project could be included, like coaching, marketing or sales support. The idea would then be to provide an opensource platform, where you crowd-source pretty much everything and throughout all stages of an innovation project. 3 – Social media community manager – Twitter Circles? For those of you heavily engaged with social media like twitter, linkedin, google+, instagram, you will probably agree with me that it becomes increasingly difficult to manage all you connections without proper tools. Yet, many of the tools available on the market have serious limitations in the way they manage the community connections. Personnally I have tried two tools, SocialBro, which I use on a daily basis, as well as Hootsuite. Both of them are great, and serve slightly different purposes but are not necessarily efficient. Here are or two functions I would like to see to manage twitter for instance. When searching for new followers, it would make sense for instance (instead of searching the whole twitter user base and filter on keywords) to have mechanims to search followers and friends of people you already follow or search their lists. So in a sense introduce a closeness function, similar to what you have in linkedin. Another function I am missing and that has to do with timezones in a sesne is that we are all active at different times of the day, so I would like to be able to filter based on who has been active for the last few hours. There are may more search criteria that one could implement to better manage communities. I think also a graphical representation would help in that process. Another limitation of current tools is that they limit themselves to processing multiple streams, but without adding much intelligence on top. Wouldn’t it be good to know how much commonality you have with an other person across skills, social networks and interests? I think there is an opportunity to develop a tool that provides more value to community, and it think a good start would be to develop it for twitter first. OK, so now I have started publishing my first set of thoughts, let’s just hope that the landing is not too brutal and that nobody responds. Looking forward to your feedback. This entry was posted in innovation, Social Media / Digital media and tagged crowd sourcing, hootsuite, innovation, kickstarter, opensource, social media, socialbro, twitter. Bookmark the permalink. ← Will wearable computing take us by storm?